The forty mile stretch of the Kohala Coast on the northwest side of the Big Island is home to many luxury hotels and resorts. 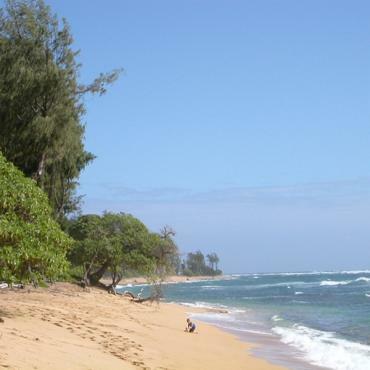 Waikoloa Beach is one of the most popular. The Kohala Coast is renowned for palm fringed sandy beaches, perfect sunny days, championship golf courses, stunning hotels, excellent scuba diving, sport fishing, whale watching, quaint villages and many historical sights. The southern and smaller two of the Big Island's volcanoes, Mauna Loa and Kilauea jointly constitute, Hawaii Volcanoes National Park, thirty miles from Hilo and eighty miles from Kona. Hula was born on Hawaii and the biggest festival takes place each spring on the Big Island. This incredible 62-acre resort is like no other on The Big Island, it’s a destination in its own right. And, a lovely spot for whale watching in season. Overlook beautiful Anaeho'omalu Bay and step outside to pristine white sandy beaches where recreations on the Kohala Coast are endless.